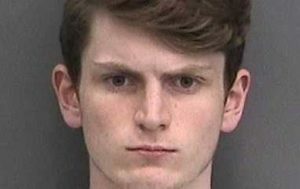 TAMPA, Fla. (Washington Post) — A former neo-Nazi who converted to Islam is accused of killing his two roommates because they “disrespected” his new faith, police said. Last Friday evening, police arrested 18-year-old Devon Arthurs after he briefly held three people at gunpoint at a smoke shop in Tampa, then surrendered to officers. That incident, it turned out, was only the tip of the iceberg.